Dr Graeme Jones, director of the infection prevention unit at University Hospital Southampton NHS Foundation Trust, said a lack of adequate hand hygiene and the over-prescribing of antibiotics for mild infections was creating a “breeding ground” for new and hard to treat bugs. 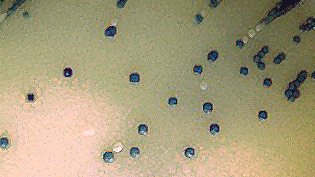 KPC is part of a group of bacteria – known as carbapenemase-producing Enterobacteriaceae – that has developed the ability to destroy strong antibiotics called carbapenems, which are often used by doctors as a last resort to treat complicated infections when other antibiotics would or have failed. “Antibiotic prescribing in hospital is complicated, particularly when dealing with patients who have serious underlying illness and any infection can be a major setback to their recovery,” explained Dr Jones, a consultant microbiologist.